Guy Kawasaki: Before I even get out of bed, I scan email and LinkedIn. This is not the answer you want to hear, right? GK: Playing ice hockey and surfing give me energy. I try to do one of the two every day. Sometimes I do both on the same day. Sometimes I go surfing two to three times in a day. GK: My secret life hack is that I have SaneBox take a first pass at my email. My virtual assistant monitors the SaneLater inbox while I attack the regular inbox. I also have a mailbox called “No;” I drag any requests the I am declining into this mailbox for my virtual assistant to handle. She answers them in a warm and empathetic way and is better at being me than me. GK: If You Want to Write by Brenda Ueland. This book changed my life because it empowered me to write back in 1987. I have told tens of thousands of people to read it, and no one has ever told me that this was lousy advice. GK: I believe in polygamy. Sometimes I sleep with my phone and sometimes with my iPad. I monitor news all the time because the U.S. is at a crisis point politically, and I am doing my best to “resist.” My grandchildren will not wonder if their grandfather resisted. GK: I answer email, check LinkedIn, check Facebook, and check the surf conditions — not necessarily in that order. GK: No b.s., but I seldom, if ever, feel burned out vis-a-vis work. I love what I do. I love the pace and the challenge. I have a very high tolerance for work. I have ASD: attention surplus disorder. The only time I feel burned out is when I get caught inside while surfing. For those not into surfing, getting “caught inside” means that you catch a wave, fall off, and the rest of the waves in the set make it hard to get back out. This happens regularly to me — being the kook that I am. On the other hand, I did take up surfing at 62. That’s not ideal, but it’s never too late to thrive. GK: Don’t get me wrong, I don’t consider myself an amazing success, but I don’t think I’ve spectacularly failed either. I’m in the middle. I just keep pushing through thick and thin without a lot of highs or lows. I love to grind it out. It’s the secret to my success. No one can out work me. 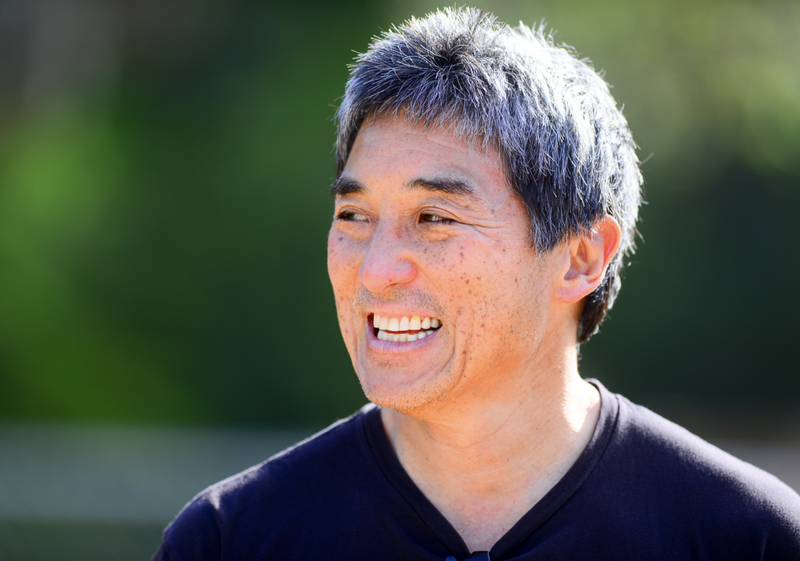 Guy Kawasaki is the chief evangelist of Canva, an online graphic design tool, a brand ambassador for Mercedes Benz USA, and an executive fellow of the Haas School of Business (UC Berkeley). He was the chief evangelist of Apple and a trustee of the Wikimedia Foundation. He is also the author of The Art of the Start 2.0, The Art of Social Media, Enchantment, and nine other books. Kawasaki has a BA from Stanford University and an MBA from UCLA as well as an honorary doctorate from Babson College.